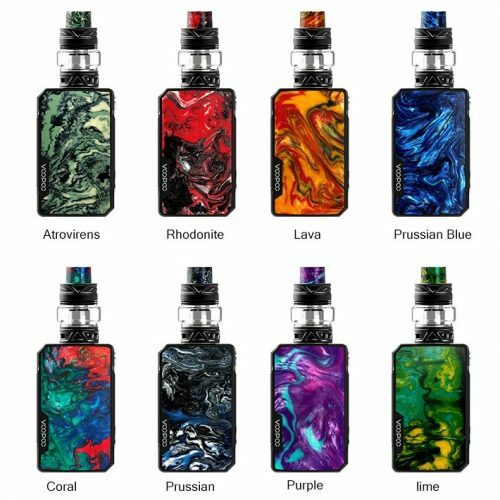 To create DRAG mini, Voopoo have reinvented the original DRAG kit from the inside out. Using the same advanced GENE.FIT chip as used in the DRAG 2, DRAG mini is more reliable than you can ever imagine. The innovative FIT mode brings both security and convenience to vapers. Small in size, but FIT from the inside out. FIT is a mode that can protect tanksby using intelligent pre-set matches of FIT 1/2/3. With the equivalent power of two 18650 batteries, DRAG mini is almost TWICE as strong in battery life compared to similar devices. For a better and more portable experience, DRAG mini is compact in structure, ergonomic in shape and has great battery life.